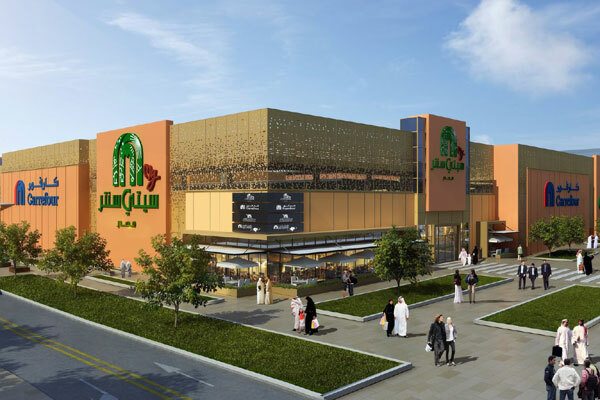 Majid Al Futtaim, a leading shopping mall developer and retail and leisure pioneer across the Middle East, Africa and Asia, said work is progressing as per schedule on its first shopping mall in Abu Dhabi, My City Centre Masdar, and on track for opening in Q2. The Dh300-million ($81.6 million) My City Centre Masdar is set to lead the way in sustainable retail and leisure operations in the capital when it opens in the first half of this year, said a statement from Majid Al Futtaim. My City Centre Masdar’s construction has created 1,500 new employment opportunities in its build-out phase and over 2,000 new jobs after opening, it stated. My City Centre Masdar will feature more than 70 stores across 18,500 sq m of gross leasable area, including a 7,000 sq m Carrefour Hypermarket and a variety of dining options for both residents and professionals within Masdar City and surrounding communities. "As we progress on developing our first mall in Abu Dhabi, My City Centre Masdar underscores Majid Al Futtaim’s commitment to the capital’s retail sector in line with Masdar City and the UAE’s long-term sustainability goals," remarked Ghaith Shocair, the chief executive of shopping malls at Majid Al Futtaim – Properties. "My City Centre Masdar demonstrates the delivery of our strategy to create retail destinations that address the specific needs of the communities we serve, while underscoring Majid Al Futtaim’s sustainability focus by engaging with them to promote an eco-friendlier lifestyle," remarked Shocair. He pointed out that My City Centre Masdar aimed to achieve Abu Dhabi’s Estidama Three Pearl rating, making it one of the UAE’s most sustainable malls. The capital’s rating system is equivalent to the Leed Gold rating for exceptional performance in energy and water conservation. “Masdar City is growing at an unprecedented rate and is a community that is nowhome to more than 600 hundred businesses and thousands of residents, with new offices, homes and leisure facilities all currently under development,” said Masdar CEO Mohamed Jameel Al Ramahi. "We expect the number of people living within the city to triple by 2020 in line with our ambitious growth plans. The new mall is a valuable addition to our retail portfolio and has been developed in accordance withour stringent sustainability regulations and requirements," he noted. Centrally placed within the planned Masdar City transit network, the new retail hub is located adjacent to the Masdar City's proposed Metro Station and within 300 m of the nearest proposed Light Rail Transit and Bus Rapid Transit stops. It will also be connected by public buses, with plans in place to utilise the autonomous, electric vehicle Navya connecting the mall with other locations within Masdar City. Al Ramahi said electrical vehicle owners will have access to18 charging points, and a number of priority parking spaces for vehicle-sharing services.